It has been an interesting year in Edmonton thus far, particularly in regards to the goaltending situation. The Oilers decided to go into the season, one which they believed was going to be a playoff year, with a tandem of Devan Dubnyk and career back-up Jason LaBarbera. It didn’t take long for things to fall off the rails, though not completely due to bad goaltending. 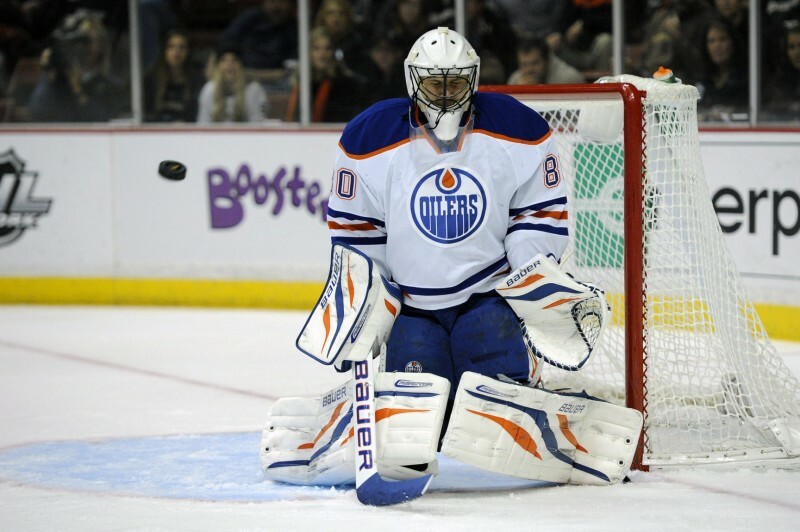 The Oilers then decided to sign free agent goalie/cosmonaut Ilya Bryzgalov to a low-risk one year contract. He battled injury, and has taken a while to find his footing again after an absence from the NHL. But clearly Dubnyk and Bryz weren’t cutting the mustard, so Craig MacTavish opted to trade Dubnyk to Nashville for the aging and overpaid Matt Hendricks. The same day, he acquired Los Angeles Kings back-up Ben Scrivens. Both Bryzgalov and Scrivens are UFA this summer, and there’s no indication as of yet if either of them will be re-signed. It puts the Oilers goaltending situation into a bit of disarray, but that has been the case for a number of years now. Are the Oilers not able to develop goalies? Is it the way they draft? Is it their system of play? Predators head coach Barry Trotz had some interesting comments on Dubnyk after his first game with Nashville. Looking at their goalies over the past few years, perhaps there is a problem with the way the Oilers have handled such an important position. 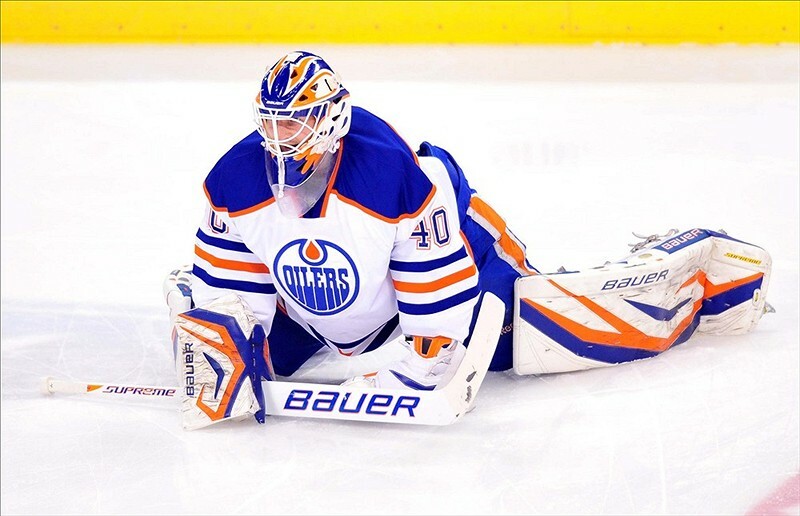 – In the early 2000’s, the Oilers enjoyed the services of Tommy Salo as their number one goalie, and he was perhaps the last true legitimate starter the team has had. – Salo was traded during the 2003-04 season, and was replaced by Ty Conklin. – The team started the 2005-06 season with a tandem of Conklin and Jussi Markkenen, but would eventually trade for veteran Dwayne Roloson. They seemed to catch lightning in a bottle, as Roloson carried them all the way to the Stanley Cup final that year. – In the 2007-08 season, Roloson would wind up losing his starting job to Mathieu Garon. He would win the job back when Garon was traded in the 2008-09 season, but signed with the New York Islanders in the summer of 2009. – To make up for the loss of Roloson, the Oilers signed free agent Nikolai Khabibulin in 2009, but back-up Jeff Deslauriers actually finished the season with more wins. – The Oilers signed Martin Gerber in 2010 to replace the injured Khabibulin, but he would leave the team in the summer of 2011. – The 2011-12 season saw a tandem of Devan Dubnyk and Khabibulin. Dubnyk would ultimately be named the starter in the lock-out shortened season of 2012-13. Khabibulin left as a free agent in the summer of 2013. Veterans Roloson and Khabibulin enjoyed some success in Edmonton, but neither would have been considered the goalie of the future. The Oilers simply haven’t had a stud netminder in a long time, perhaps not since the years of Curtis Joseph. The team has a lot of areas it needs to improve upon, but a lot of the lack of success could be attributed to the lack of strong goaltending. Is Ben Scrivens the answer? Is one of their prospects going to be the guy? What about trading for someone like Ryan Miller, or one of Anaheims many stud goalies? The Oilers spend a lot of time stockpiling talented skaters, but they have seemed to overlook one of the game’s most important positions. It’s long since caught up to them.